It is the world's most audacious national biometric identification program, and it was rolled out in record time. Nandan Nilekani, the architect of India’s Aadhaar ID, explains how the project's success had as much to do with sophisticated technology as it did with navigating political uncertainties. India is so much more than just a country. The degree of diversity running through it demands that it be seen as many different countries rolled into one, a complicated tapestry of troubling contradictions: It has both the fourth-highest number of billionaires in the world and abysmal levels of poverty. 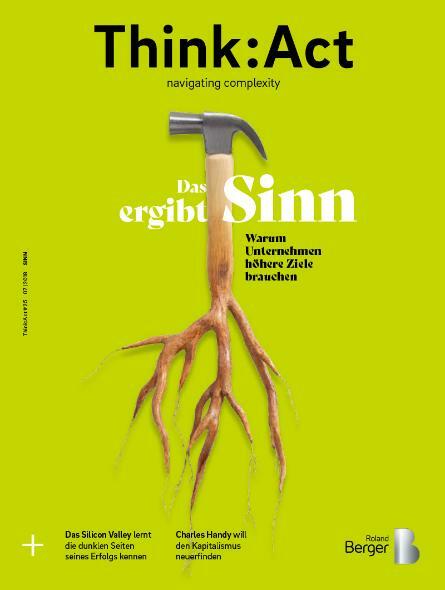 Governing a country this complicated is a colossal challenge, especially as perceived certainties can change in the blink of an eye. The 2011 census estimated 139 million Indians migrate from one part of the country to another every year, making it hard to keep tabs on this constantly shape-shifting population. Between two worlds: Nandan Nilekani was able to bring experience leading one of India's premier IT companies to the public sector. 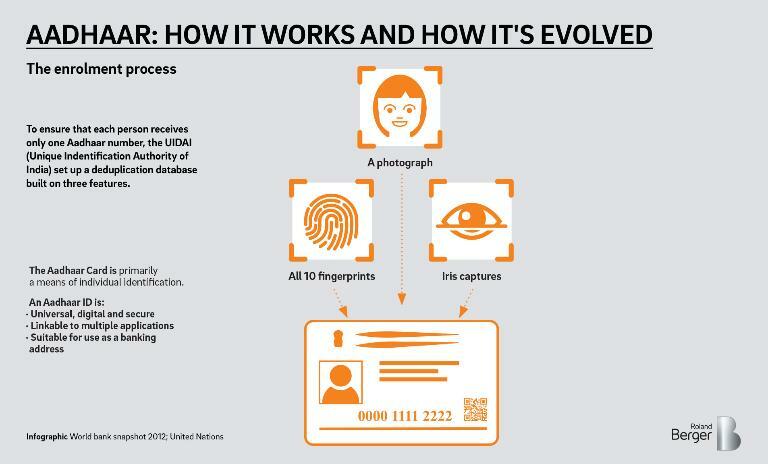 The biometric features used to create an individual's Aadhaar profile include scans of all 10 fingers, both irises and a photograph. Although data privacy concerns are being raised in the face of huge numbers of potential future applications, Nilekani remains positive in his outlook that the system will prove a platform for innovation. So far, India had lacked a nationwide ID card system. While US citizens have a Social Security Number and the UK uses the National Insurance Number, there was no such system in India. Different identity documents existed, sure, but none of them were universal: Only those who planned to travel abroad would acquire a passport, those who paid taxes would get a PAN card or those who voted would bother to enroll for a Voter ID card. And none of these documents matter very much to the approximately 270 million people that represent the some 20% of the population living on less than $2 a day. The one document that they were most likely to possess would be a ration card, a relic of the post-World War II era entitling those with low incomes to receive subsidized food, fuel and other items from the government – hardly a proof of ID and often misused or misappropriated. "When you have the opportunity, the quicker you build something and roll it out, the less the risk that something will happen to it." The government was facing a real challenge: how to ensure that social welfare programs could reach the people needing them the most. But until recently, the government just didn't or couldn’t know who or where they were. Moreover, estimates suggest that the lack of an underlying ID system meant that between 10-40% of government funds were being wasted, diverted or simply embezzled. That paints only half of the ID picture, however. Basic services, like banking, remained out of reach for a vast section of the population simply because they had no way of telling the bank who they were. The first step was to give people a proper identity document that was universal, portable, digital and, most importantly, foolproof. Enter Nandan Nilekani, co-founder of Infosys, the company that can take some of the credit for spearheading India's IT revolution. "Seattle has Bill. Bangalore has Nandan," author Tom Friedman wrote, likening him to Microsoft's Bill Gates. In fact, it was a discussion with Nilekani that inspired Friedman to pen his now famous book “The World Is Flat”. In a sense, Nilekani – and the company he helped create – highlight the contradictions that exist in India: A world-class IT sector rubs shoulders with systems and processes that are more in tune with the 19th century. In a hope to change that, Nilekani stepped into the uncharted waters of Indian officialdom in 2009 and became the chairman of the UIDAI (Unique Identification Authority of India), a government body tasked with implementing the world's biggest biometric national ID program, Aadhaar. After five years at the helm, he is now back at Infosys as chairman, but his story about how he steered Aadhaar into existence is fascinating and it began with identifying the goals and breaking down the problem. The first goal behind Aadhaar, he declares, was inclusion. "If we can create a single identity platform which is portable across the country, which is digital and online, then people will be able to advance their life," he says. The second goal was fiscal: More and more government programs were directed towards individual entitlements such as unemployment insurance, healthcare, pensions and scholarships. Aadhaar was an audacious experiment from the word go. Often there was no “root” document to base all this on, something like a birth certificate – in rural India, most people didn't bother to register births at all and so for many Indians, this was the first time they were getting any official proof of their identity. Nilekani had to figure out a way to roll out the machinery that created a foolproof identity for India's 1.3 billion people, and in record time. "This was a project of unprecedented technological sophistication … We had to have a fairly solid and robust way of identifying a person and making sure that a person did not claim more than one number," says Nilekani. 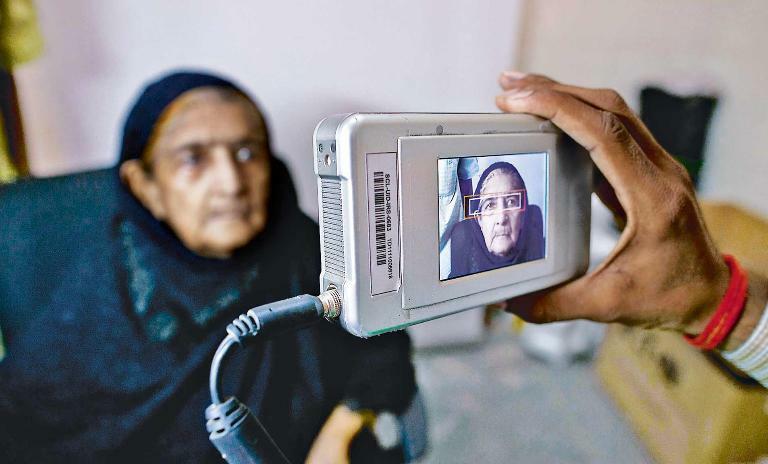 To do that, UIDAI used biometric deduplication: digitally representing an individual via 10 fingerprints, both irises and a photograph of the face. "Then the largest biometric deduplication database was about 100 million, so this was uncharted territory – to go from 100 million to one billion." Nandan Nilekani co-founded Infosys, one of India's premier IT companies, in 1981. He left the company in 2009 to serve as chairman of the Unique Identification Authority of India before returning as non-executive chairman in 2017. Nilekani understood that he needed to work fast. India is a democracy and with elections every five years, political considerations can derail even the best-laid plans. Policies and projects are often tied to political motivations, so initiatives started by one government are quickly scuttled by the next. "When you have the opportunity, the quicker you build something and roll it out, the less the risk that something will happen to it," he says. A regular at global events like the World Economic Forum at Davos, Nilekani is used to rubbing shoulders with the world’s movers and shakers. He is a savvy networker and knows how to get deals done. He brought that skill with him and exploited it to get the Aadhaar project off the ground. In the 14 months that it took to launch the Aadhaar platform, he made sure he had a trustworthy CEO who could handle the day-to-day affairs while he managed the complex environment. India has a federal government structure which meant that apart from managing expectations at the central government level, Nilekani also had to network with the ministers and bureaucrats from India's 29 states and seven union territories. Apart from that, he met all the central government departments, the Reserve Bank of India, the World Bank, various multinational institutions and major companies. "By reaching out to all these people and convincing them about the merits of what we are doing, we were able to build a nationwide consensus around this platform," he says. The second thing he did was keep the design simple, even minimal, so that it would be easy to roll out. "There's a temptation to solve too many problems in one solution. If you make a solution too heavy, it sinks under its own weight. We had to keep the solution simple and lightweight and we designed it as a set of layers," says Nilekani. So the first layer was about getting everyone to have an ID. The system was designed for scale in order to reach a billion people in a reasonable amount of time and could enroll 1.5 million people a day. 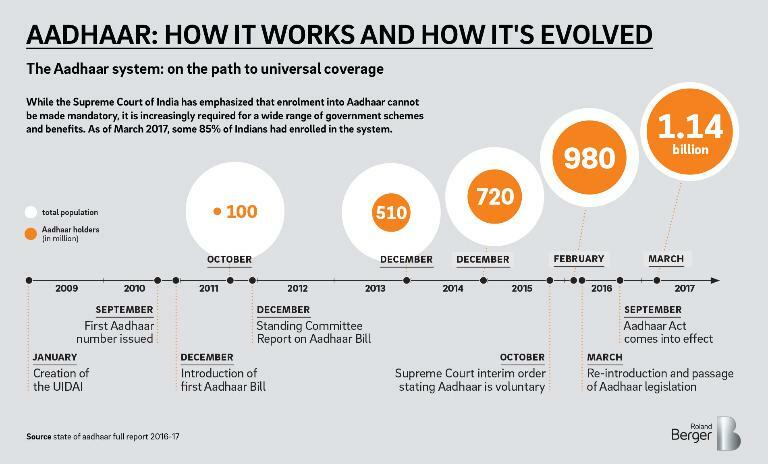 To achieve those kind of numbers, UIDAI created an ecosystem of partners who would work with set technology and process specifications and help with the actual enrolments while it remained as the central number-issuing authority. 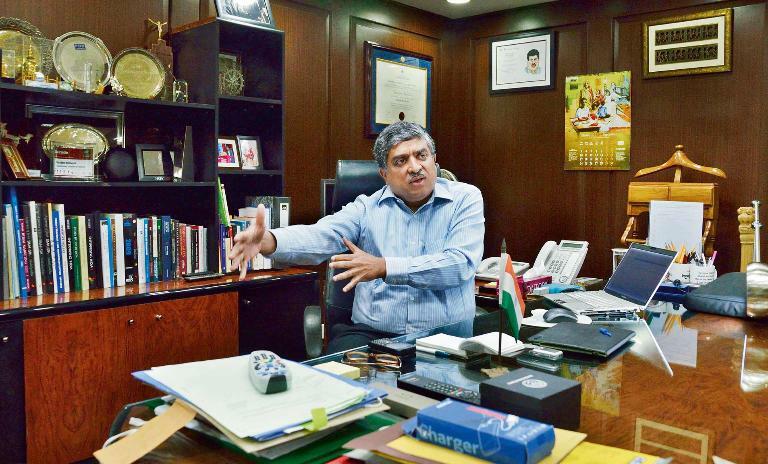 "At peak we had something like 35,000 enrolment stations across the country," says Nilekani. Nilekani had achieved 600 million Aadhaar enrolments by 2014 and by March 2017 the figure stood at 1.14 billion, or around 85% of India's population. In 1985, then Indian Prime Minister Rajiv Gandhi famously said that of every rupee spent by the government for the welfare of the poor, only 15% reached the intended beneficiary, highlighting the level of corruption in the system. Three decades later the situation hadn't improved much. The introduction of Aadhaar upended many of these corrupt ecosystems. Today more than 500 million Indians have their bank accounts linked to their Aadhaar ID – as a result, they can electronically receive money from the government or anybody else within 48 hours. "Using technology, we are able to make sure that 100% of the rupee went to the person intended and so it is a dramatic increase in people getting what they were entitled to," explains Nilekani. Estimates suggest that the government has ended up saving $9 billion in reduced fraud – all on the back of the $1.5 billion investment in putting Aadhaar in place. 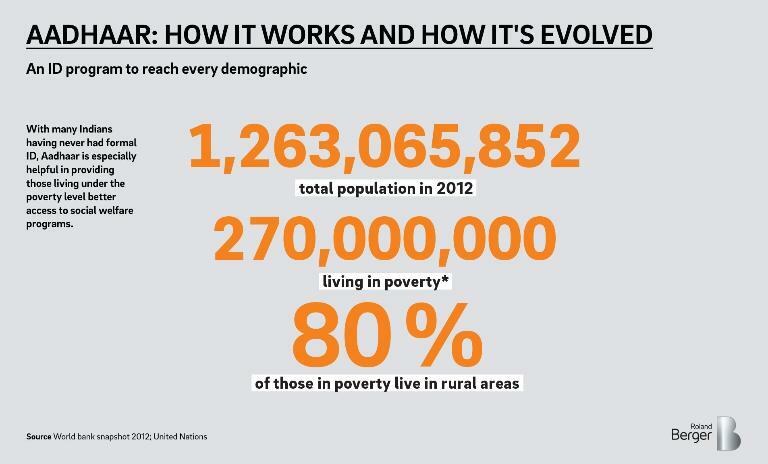 As World Bank President Jim Yong Kim once remarked: "This could be the greatest poverty killer app we've ever seen." Apart from streamlining government subsidies, there have been other benefits too. For instance, Aadhaar has given a huge boost to financial services by making it dramatically easier to open a bank account, buy a mutual fund or acquire an insurance policy. In telecom, it's become easier to acquire a SIM card. These might seem to be very simple things, but the fact is that these services were out of reach for large portions of the population simply because they were unable to provide a valid proof of identity. The potential applications of Aadhaar are huge. It could be linked with India's healthcare system to digitize and link medical records across hospitals, laboratories and pharmacies. It has potential applications in education to track and authenticate academic performance of students. Issues remain, however, the biggest of which are concerns about the creation of an Orwellian state where the government is able to track everything citizens do. Nilekani dismisses such concerns. "There has been a lot of care taken in the design of Aadhaar for privacy. So, the financial records are in the financial system, the health records are in the health system. [We] deliberately designed it as a federated data architecture," he says, adding that the data in the Aadhaar system cannot be shared unless it’s an exceptional requirement for, say, national security. The other hot-button issue is about exclusion: Aadhaar is supposed to be a voluntary platform, but has become de facto mandatory because it is linked with so many day-to-day things. For now, this matter is in the Supreme Court. But what does Nilekani think about it? "I think Aadhaar itself is becoming almost universal. The exclusion is coming down," he says. 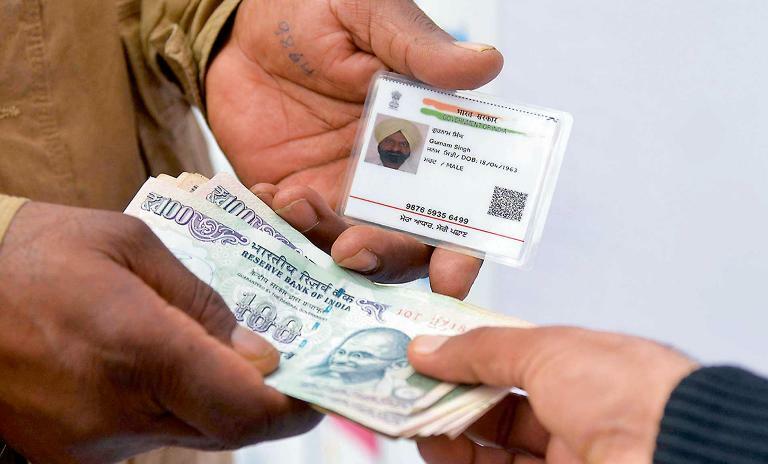 "Attention has to be paid to make sure that if there is a particular social benefit which Aadhaar is used to authenticate; in the event that the person does not have Aadhaar, or in the event that the Aadhaar authentication is not going through, then there has to be a fallback mechanism to ensure that genuine beneficiaries are not denied their benefit. That needs to be done in all the systems that use Aadhaar." Nilekani is optimistic. He sees Aadhaar as a platform for innovation, just like the internet and GPS were. "The GPS answers the question: Where am I? And Aadhaar answers the question: Who am I? Today there is so much innovation in the world which is a combination of the internet and GPS and companies like Google, Facebook, Uber and Apple all exist because of these fundamental technologies," he says. "We think that Aadhaar will be a platform for huge innovation and we are going to see lots of innovative applications in the coming years." The applications are huge and exciting, to be sure, but public policy has to play its part, working in a way that the privacy and rights of Indian citizens can remain secure. 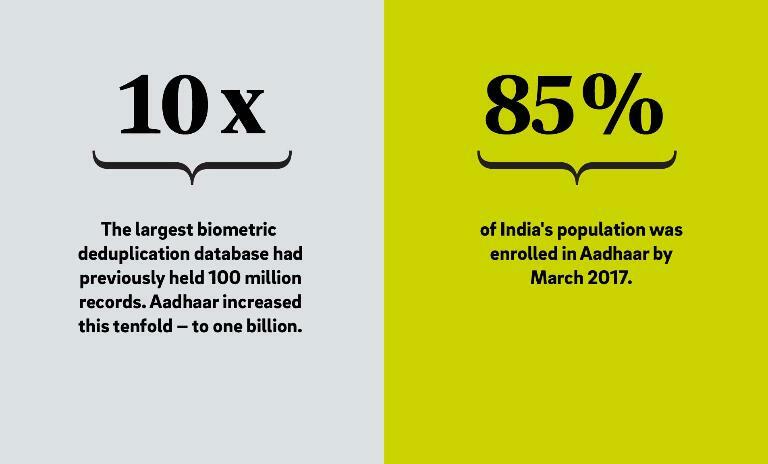 How this is done will determine whether Aadhaar will indeed help India leapfrog into the next century, but for now it has given this complex, multifaceted country the sense of what a new identity can bring.